Immigrants and supporters march past the Metropolitan Detention Center as undocumented people jailed inside tap on the windows in opposition to the President Trump order end to DACA on September 5, 2017 in Los Angeles, United States. 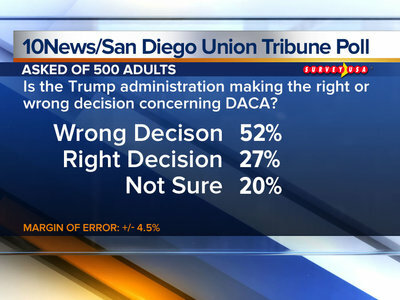 SAN DIEGO (KGTV) - Many San Diegans believe the Trump administration was wrong for rescinding the Deferred Action for Childhood Arrivals (DACA) program, according to a 10News/San Diego Union-Tribune poll conducted by SurveyUSA . 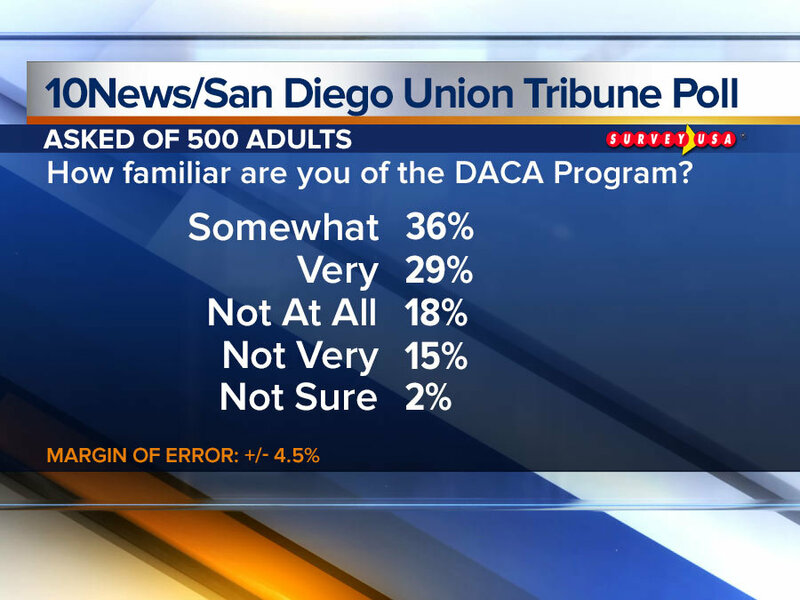 Data for the survey, which involved 500 San Diego adults, was collected Sept. 5-6 and included six questions regarding the decision to phase out the DACA program. 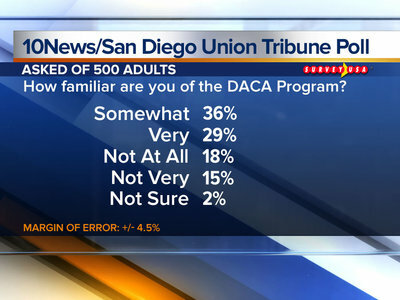 When asked "Is the DACA program good for America? 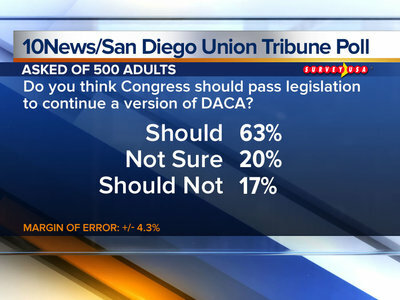 Or bad for America? ", 51 percent of San Diegans surveyed believed the program was good for the country, 18 percent believed it was not good and 31 percent were not sure. The survey showed 52 percent felt the Trump administration made the wrong decision in ending DACA, while 27 percent of those polled thought it was the right decision. 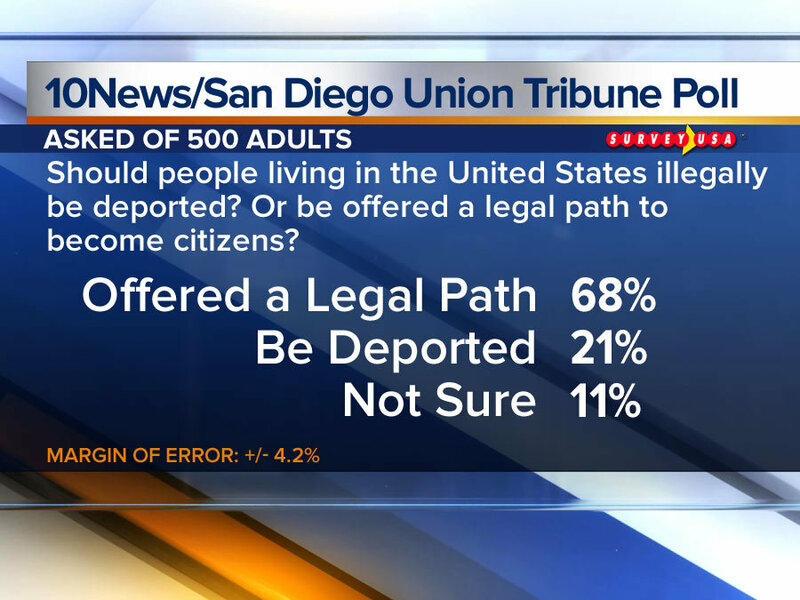 San Diegans were asked "In general, should people living in the United States illegally be deported? Or be offered a legal path to become citizens? 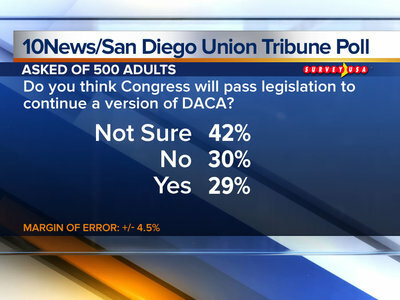 ", and a whopping 68 percent felt people living in the country illegally should be offered a legal path to become citizens. Twenty-one percent believed those people should be deported. 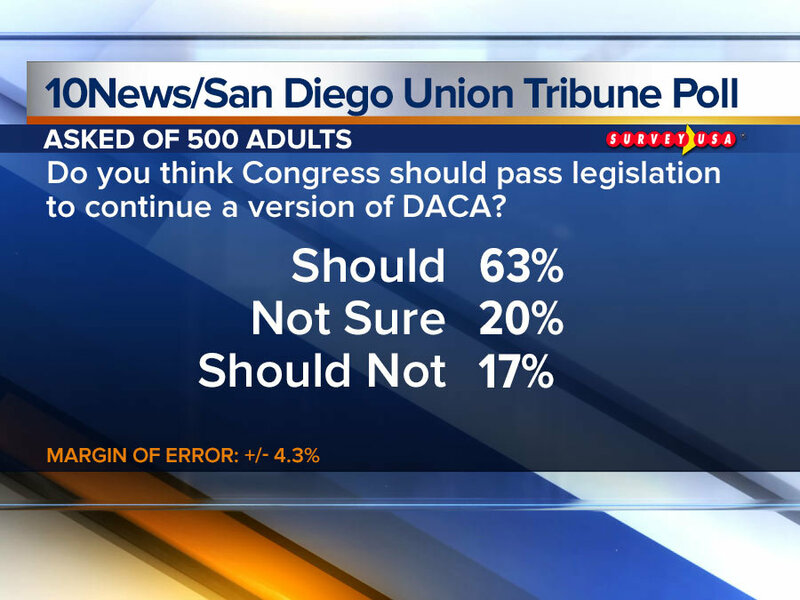 Obama: President Trump's decision to end DACA is "wrong," "self-defeating," and "cruel"